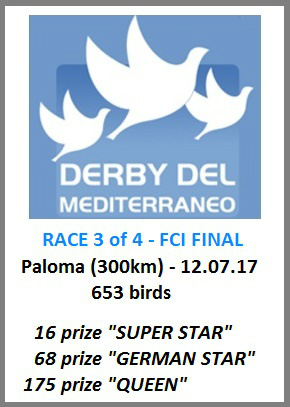 16 prize - Mediterraneo FCI Final (300km) !! We are very satisfied to start our first FCI final in 2017 with a 16 prize. This prize give our loft 0,082 FCI points and a nice 20th place (2 best results after 2 races).